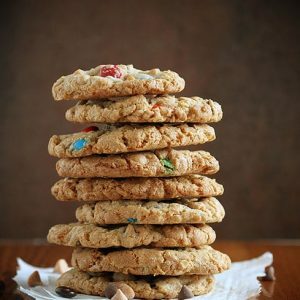 These Old Fashioned Monster Cookie recipe is inspired by a love of eating. I wish I had some awesome story about how my grandma made them in 1942, but yeah. It was just me tinkering away in my kitchen and putting together what I envisioned an old fashioned cookie would be like. Seems like that today cookies are all ooey gooey and soft and loft-house style and not the crispy flakey cookies I remember as a kid. I cannot believe I am old enough to have eaten old-fashioned food. Old enough to want to eat old-fashioned food. It makes sense though. My favorite TV show is Murder, She Wrote. In medium bowl sift flour, baking soda, baking powder, salt and cinnamon. 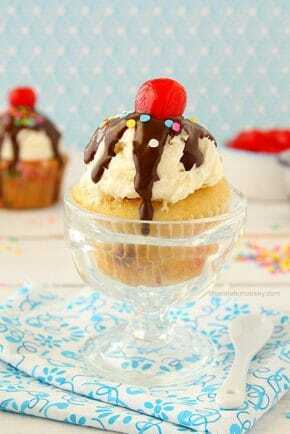 In stand mixer or large bowl, cream together shortening, brown sugar, and white sugar until fluffy. Add eggs and vanilla. Combine well. Add flour mixture to wet ingredients and stir until just combined. Then add oats, M&M's, peanut butter chips and chocolate chips. Use 1/4 cup and scoop onto cookie sheet, you should get about 6 per sheet. Recipe based on Oatmeal Cranberry Cookies. These cookies spread out considerably so I would press them flat(er) as you set them on the baking sheet. If you want a higher dough to chip ratio (less chips, more cookie dough), cut the chocolate chips out and decrease peanut butter to 1/2 cup. Make sure you cream the shortening and sugars until fluffy. I have used both the whisk attachment and paddle and both seem to work well. I love making these cookies into “giant” cookies, about 6-inches across. They hold up very well and kids are absolutely giddy at the idea of the huge cookie. Girl there is no need to have a story other than “I love to eat” when you make cookies as perfect as these. I love that your favorite show is Murder, She Wrote! Ha ha. These cookies look delish. The tips for success are always so helpful! I’ll be old fashioned with you – we’re monster twinsies today. Love these – they look perfect! I’ll take that entire stack, please! These cookies look soo good Amanda! Oats improve any cookie, I feel. And I agree on Murder she wrote – awesome show! I wish my grandmother had made cookies like these! Old fashioned just means they’re delicious enough to stick around through the years. Own it! They’re perfect! Lol Amanda…Murder She Wrote…I won’t judge 🙂 I don’t think I remember ever eating these cookies…but they look fabulous and a fun weekend project for me and the munchkin. 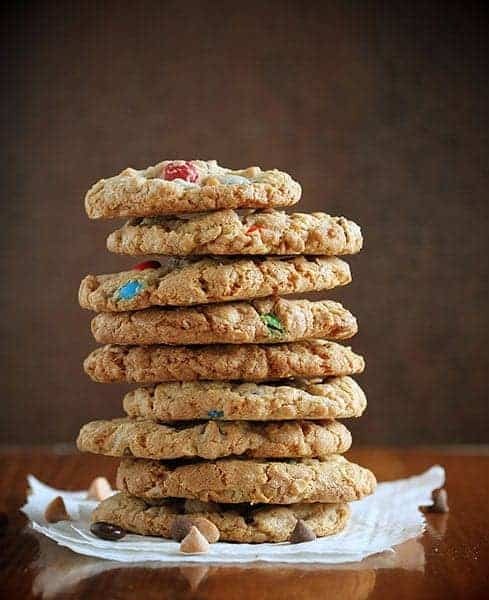 I didn’t grow up eating many desserts or cookies and I remember the first time I made and ate monster cookies. I didn’t think I would like them that much but I was so wrong. 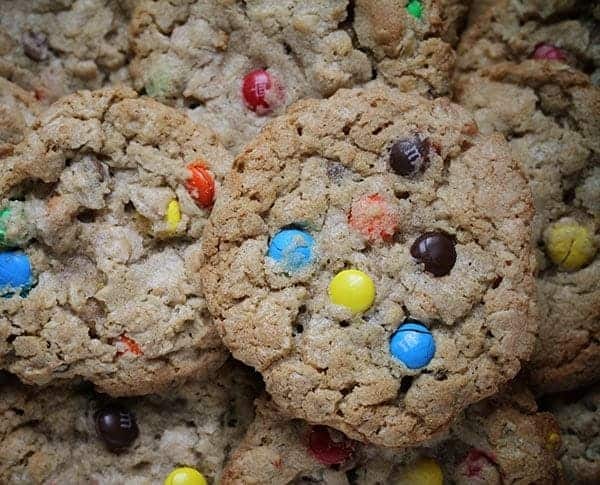 Such an amazing cookie and m&m’s rule in baked good, it turns out. : ) Your version looks great and definitely worthy of the ‘old-fashioned’ title because to me, it means good stuff! Cookie monster approved for sure! Scrumptious! I love monster cookies! Yours look divine! You inspire as usual. 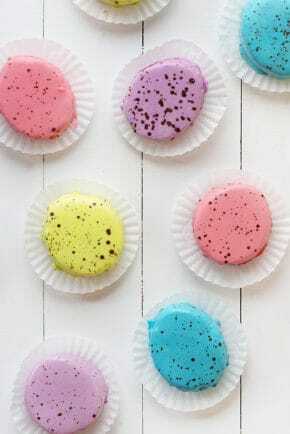 I love the nostalgia…and I just love the simple COOKIE-ness of these sweet treats. Amanda sometimes old fashioned are the best!! Love the addition of peanut butter chips!! These cookies look amazing! 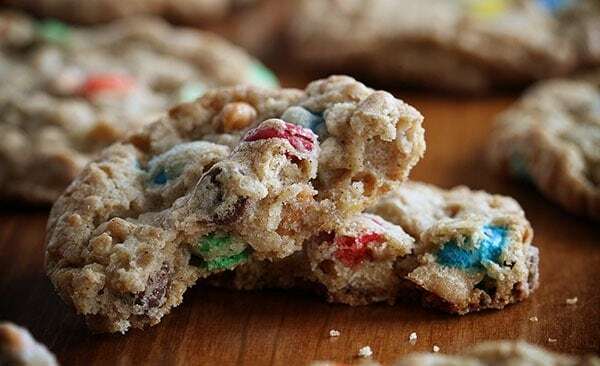 Thick and filled with M&M’s ~ the cookie monster would be proud of these Monster Cookies! I love monster cookies! Sometimes a story isn’t necessary, especially when you have photos like yours! I’ll go ahead and pretend with you…I’ll do whatever…because these cookies are one of my faves!! Love monster cookies! These are gorgeous and perfectly old-fashioned! 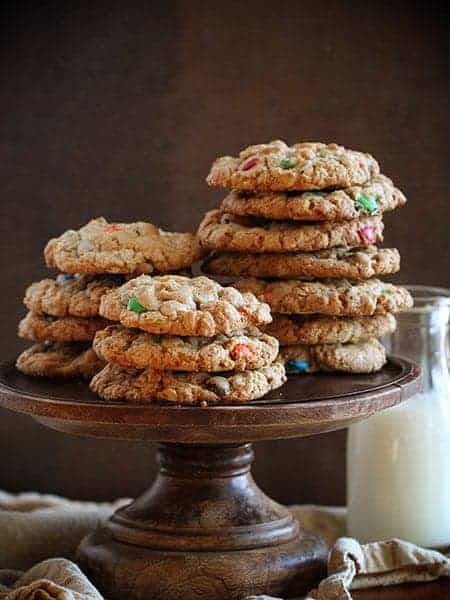 I have so many nostalgic childhood memories of monster cookies.. these look awesome and I wish I had a couple to indulge in right now! This is a different version of monster cookie than I’ve been using for years. 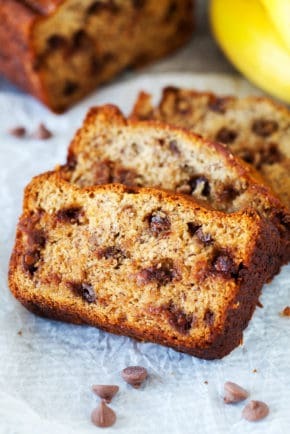 My recipe has a touch of corn syrup and no flour – only oats so they are nice and chewy! We love them and make them every Christmas! Made these tonight & they are very good! I made these today using butter instead of shortening. They turned out thin, crispy, and soooo good! I used Resee’s Pieces instead of peanut butter chips and added 1/2 cup of crushed pretzels because I didn’t have any salt. 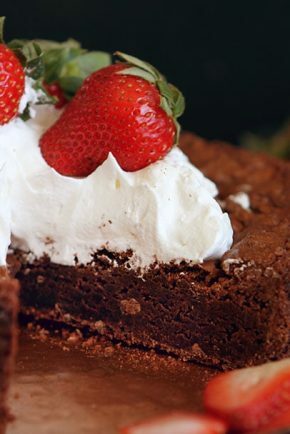 Awesome recipe and super helpful baking blog…thank you! !